The Talent Factory is a year long science communication and performance development programme. Now in it’s second year, the programme takes a diverse group of science communicators and helps them become a mutually-supportive group of elite science performers. 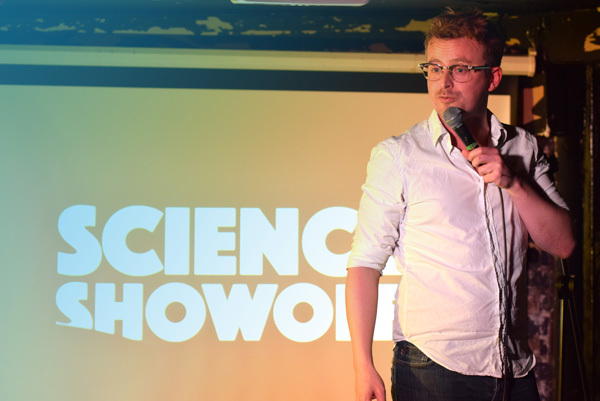 Participants get exciting opportunities to practice their skills and develop new ones as well as help and guidance from the creator of Bright Club and Science Showoff, Steve Cross. WHY IS STEVE DOING THIS? Steve’s time on the Talent Factory this year is financially supported by the Wellcome Trust. Follow the Talent Factory on twitter (@ShowoffTalentFa) and keep an eye on this site to hear about the Talent Factory’s projects, events, and gigs as well as dates for the next cohort recruitment.